As a Florida motorcycle accident lawyer, you could say that my entire career has been built on people’s mistakes. After all, it is only when people mess up that I get to practice my trade and make a living. In the majority of cases that walk through my office door, the victim is someone who is guilty of nothing other than being in the wrong place at the wrong time when someone else did something stupid. That is the majority of cases, but definitely not all. 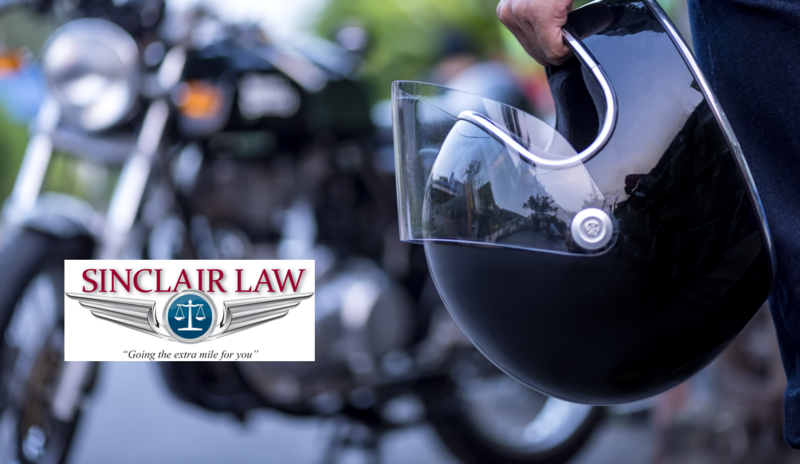 In my decades of experience as a Melbourne motorcycle attorney, I have borne witness to the countless mistakes people can make while riding a motorcycle. Many of these errors in judgment I see on a regular basis. They just keep popping up time after time, and even worse, I see them almost every time I am on the road. I chalk most them up to people being novice riders and not knowing better yet. Unfortunately, though, I also see many people I know to be veteran riders making the same mistakes. So, in the interest of helping you stay safe while riding, I would like to point out these seven most common rookie rider mistakes that you should avoid, no matter how much time you have had in the saddle. This one shouldn’t need any explanation. Alcohol slows your reaction time, dulls your senses and interferes with your decision-making. Don’t drink and ride; there are easier ways to commit suicide. Here in Florida, this is a very common sight. The warm climate and sunshine make riding in shorts and sandals seem like a natural. It isn’t. Skin doesn’t hold up very well when it comes in contact with the road, and even road debris can have painful effects when it becomes airborne. Dress for the ride, not the beach. I see this one most often in parking lots. Someone is riding slowly, looking for a place to park, and they drag their foot as they turn. This is a dangerous habit to get into. You can hang a toe or foot, be thrown off balance and kiss the pavement faster than you can blink. If you are not comfortable maneuvering your bike, take a riding class and practice where it is safe. This is one of my personal pet peeves. Any time you leave a stoplight, your lane on the road, a parking lot or anywhere else, do a head check. You can’t count on other drivers behaving properly and mirrors showing you the complete picture. Get in the habit of having your head on a swivel, and always be looking for potential danger. On most motorcycles, the front brake supplies about 70 percent of the stopping power and the rear 30 percent. For maximum braking efficiency, learn to use both at once. When you are in an emergency situation, that extra 30 percent could save your life, and you will have to buy brakes less often. Everyone wants to be Joe Cool riding around with their shades or blacked-out visor on. It does look cool, but on a motorcycle, you already have limited visibility at night. Further reducing your ability to see for the sake of appearances isn’t a very bright idea. Safety glasses will cost you about $3 at most parts or big box stores. That is cheap insurance for your safety. Trust me, I know motorcycle tires are expensive. They are also the only thing that is tying you and your bike to the road. If they are worn down to the tread wear indicators, it is time to replace them. If you are new to riding, you can expect to buy two rear tires for every front. They wear out twice as fast, so keep a close eye on your back tire.